Looking to buy or sell a business? Dugan & Lopatka can assist. If you a buyer, our professionals will carry out the due diligence, analyze the numbers, then assist with the sale of the business, etc. The due diligence process should be comprehensive. 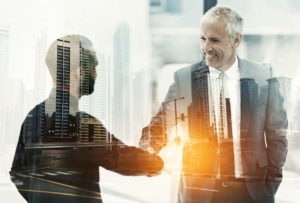 It is in both the buyer’s and seller’s best interest to complete due diligence in order to avoid disputes later. Whether you are selling your business to family, employee management or a third party buyer we will provide realistic financial projections, reliable valuation analyses and post-acquisition integration plans. Failure to plan and conduct detailed due diligence and a methodical risk assessment can lead to — at a minimum — an expensive decision and — at worst — the failure of your business. This may be your first big business deal but, rest assured, Dugan & Lopatka has gone through hundreds of similar deals since 1974. As one of Chicago’s largest CPA firms and one of the only ones focused almost exclusively on small and mid-sized privately-held companies, we are committed and prepared to provide you with the financial advice throughout the transaction that will improve your chance for success. Conducting audits or agreed upon procedures and evaluating assets of acquired companies. Advising on proper accounting methods and adjustments. Consulting on business valuation and purchase price. Reviewing and advising on acquisition agreements. Coordinating the combining of accounting and administrative support.